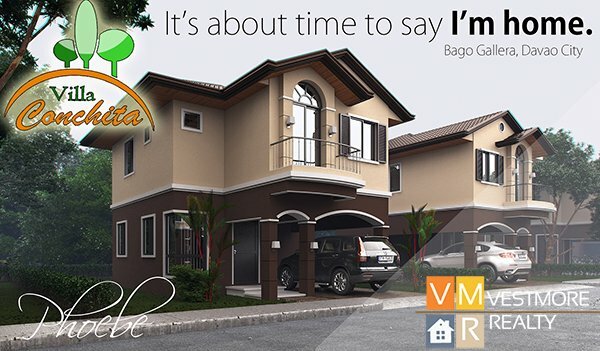 Villa Conchita is a middle cost housing subdivision at Bago Gallera, Davao City. 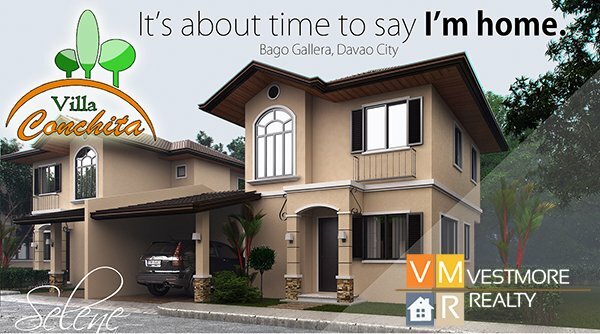 Villa Conchita is a 27-hectare community with a deluxe Mediterranean-inspired theme. Villa Conchita has 5 model houses to choose from, namely Nina, Helen, Chloe, Phoebe and Selene. With floor areas ranging from 60.64 to 119.13 and lot areas ranging from 132 to 180 square meters, families will find that the homes are spacious and comfortable.